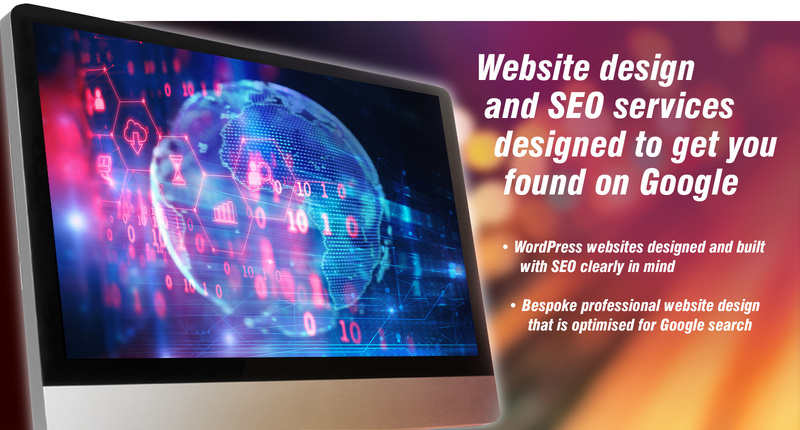 Along with website design Sixmile Design offers Search Engine Optimisation (SEO) services. SEO is the art of being found on the search engines. I talk to my clients a lot on this subject. How do I get to the first page on Google? The answer is there's no silver bullet but there are a load of things that can be done to help the process. Ultimately you'll want to be found under the keywords and phrases that people enter into search engines, such as Google, to find your website. However SEO is so much more and takes into account how the website is built, whether it’s updated on a continual basis and whether there is successful engagement with the social networks. Being a graphic designer I do put an emphasis on how a website looks ( a good looking functional website stands out from the crowd) but I put as much emphasis on good on-site optimisation and structure as well. As a result I work with my clients on their SEO and advise them on best SEO and marketing practices for them. This can be an ever changing horizon but some things remain basically the same. Research your keywords and phrases. Know what you want to be searched under. I can help with this. One of the first things I do is research the competition and see what my client needs to do to improve their ranking. On many occasions I’ll take the copy written by the client and rewrite it with SEO clearly in mind. Good clear copywriting, with SEO in mind, is vital for a successful website. Many of the websites I design are built in the content managed system (CMS) WordPress which allows for easy website content updates. And in particular I advise on the use of a blog. From a SEO point of view a blog that is continually updated with interesting and relevant information is ideal. Google loves a website that is updated on a continual basis. That's why blogs are so popular these days. I always prefer organic SEO (the process of affecting the visibility of a website in a search engine's unpaid results) but can advise on and set up paid advertising including Pay Per Click campaigns. This can often be determined by how much competition the website in question has. It's always important to analyse performance and adapt strategy where necessary. Google Analytics is ideal for this. It’s important for all businesses, large or small, to invest some kind of regular effort into their online marketing strategies boosting their SEO. Overall I’ll advise on best use of the social networks depending on aims and goals. Bearing in mind the ideal social media efforts will provide a place for customers to be exposed to your brand and bring them to places where they can get more in-depth information, primarily your website and then contact. This is known as funnel marketing. Graphics are ideal for social media campaigns. On numerous occasions I have designed eye-catching graphics for use on the social networks. Graphics appearing within these channels are great for spreading brand awareness and visual interest. Remember, to help your SEO and spread brand awareness it's vital to engage with people (potential customers) through the social networks (Facebook and Twitter in particular). Successful engagement here will help drive traffic to the website and contact.